Below you can view all the homes for sale in the Williams Park subdivision located in Smyrna Georgia. 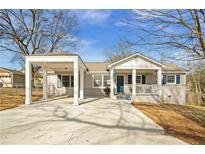 Listings in Williams Park are updated daily from data we receive from the Atlanta multiple listing service. To learn more about any of these homes or to receive custom notifications when a new property is listed for sale in Williams Park, give us a call at 404-998-4102. Wait There Is A Deck Off The Kitchen And Family Room Too.No Lack Of Charm With An Eat In Breakfast Nook MLS#6535192. Keller Williams Realty Cityside. Lovely Covered Porch With Fireplace And A Fenced Backyard. MLS#6521467. Dorsey Alston Realtors. Williams Park Is A Close Community W/Regular Social Activities, Too! MLS#6512029. Keller Williams Rlty-Ptree Rd. Surrounded By $600K + Homes In Desirable Neighborhood. MLS#6129648. Keller Williams Rlty-Ptree Rd. The Main Level Is Incredibly Open And Perfect For Entertaining. MLS#6127143. Beacham And Company Realtors. The Impressive Included Upgrades And Finishes Are Just "Icing On The Cake". MLS#6128601. Re/Max Around Atlanta Realty. Can You Believe All This And A Chicken Coop To Boot. MLS#6125058. Drake Realty Of Ga, Inc..
Close To Shopping, Smv, I285, I75 & The Braves Stadium MLS#6039303. Palmerhouse Properties. Conveniently Located To Smyrna Market Village, Schools, Grocery, Shopping And The Battery. Completion End Of March. 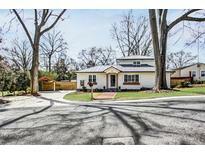 MLS#6098269. Keller Williams Rlty-Ptree Rd.